The cash prize draw from MashreqMillionaire will be held on June 3rd in the tallest building in the world, “At The Top Burj Khalifa” from 8 to 8.30 pm. The grand draw will be attended by senior officials of Mashreq and Burj Khalifa, including MashreqMillionaire customers, to witness the event everyone has been waiting for. Mashreq Millionaire is a unique savings scheme that allows customers to set aside minimum savings with the potential of becoming a millionaire each month. MashreqMillionaire was launched in 1995 and since then, It has distributed Dhs336m in total prize money and created 215 millionaires. In December 2009 MashreqMillionaire, the longest running and most innovative savings scheme in the UAE, announced its new prize structure for 2010, introducing the mega draw to one single winner, to one single winner and rewarding 20 customers with smaller prizes. Following the mega prize trend, Mashreq was the first bank to introduce cash prize draw in 2007 and in 2010. MashreqMillionaire certificates can be purchased across all Mashreq branches and leading Exchange Centers. Certificates can be en-cashed anytime for their full value after 90 days from date of purchase, as there is a normal charge for encashment within 90 days. 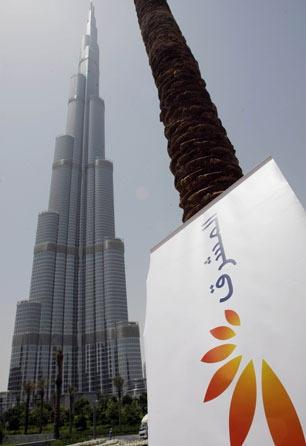 MashreqMillionaire draws are supervised by the Dubai Economic Department to ensure fair and transparent practices. Certificates are available at all Mashreq branches, UAE Exchange, Al Fardan Exchange, Al Ghurair Exchange outlets and also Online from for banking customers. Previous articleGiorgio Armani: Shirtless in St. Tropez!